In keeping with both our desire to stay relatively fit and healthy during the holiday indulgences, we present to you this creation of ours we delightfully call coco-bliss, a dessert with equal parts refreshment and decadence. 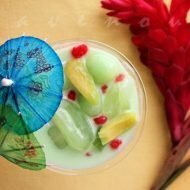 Vietnamese desserts often have 3 key ingredients or layers, for example che ba mau (three color dessert) or thach rau cau (3 flavor agar of coffee, pandan, and coconut). Here we take this concept and use fresh coconut water from the young coconut to make a coconut water gelatin. From the milk, we make both a gelatin and a coconut cream. Finally toasted coconut flakes are candied in a brittle and sprinkled on top. Fresh young coconuts and coconut water are all the rage these days for the health conscious and we often have fresh young coconuts on hand since they’re so readily available at the Asian markets. If you enjoy drinking fresh young coconut water, having it in a jelly is equally, if not more enjoyable. 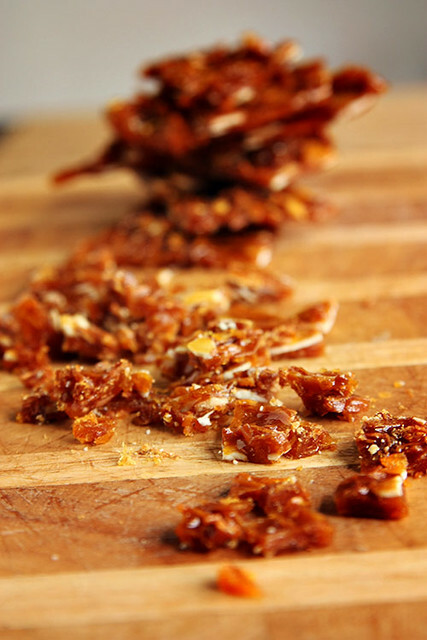 The coconut brittle can be made days in advance. In sauce pan with medium heat add the sugar, light corn syrup, salt, and water. Using candy thermometer, gage the temperature of mixture until it reaches the hard crack stage (302 F/ 150 C), stir in butter and baking soda. Mixture will foam up---add toasted shredded coconut and toasted sliced almonds and mix. Pour mixture over parchment paper and spread thinly as possible with silicon spatula. Allow to cool and break into bits and pieces. To make the coconut water layer, heat the coconut water and agar agar under low heat until agar dissolves and liquid comes to simmer. Remove from heat and carefully fill about 1/3rd of each serving cup and store in fridge to cool and firm up. Add all the ingredients of the coconut milk layer to the saucepan and under medium low, heat the coconut milk layer and stir, making sure there are no clumps. Heat until simmer and remove from heat and add to the firmed coconut water layer, filling another layer with the coconut milk mixture and store in fridge to cool and firm up. Add the half and half, coconut milk, egg, sugar, salt, vanilla extract, and cornstarch in sauce pan and whisk together well. Under low heat and constant whisking, heat the mixture until it thickens to a creamy consistency. Stir in the toasted shredded coconut and remove from heat. By now the coconut water, coconut milk, have firmed. Spoon the coconut cream mixture on top. 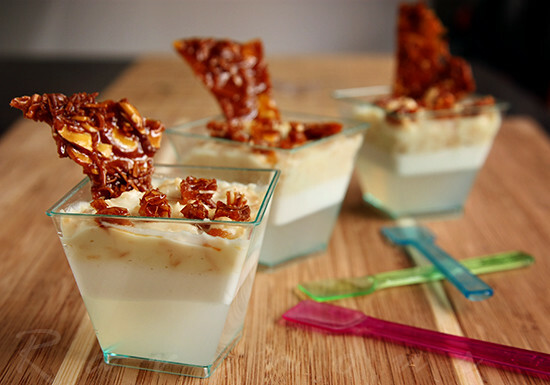 Sprinkle with small bits of coconut brittle, and a larger piece as a decorative garnish. Cooks note: Best serve chilled. 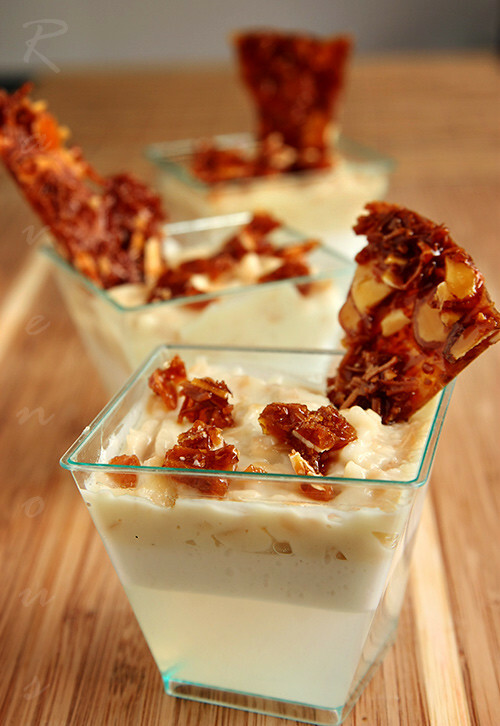 The dessert can be made a day or two ahead of time and coconut brittle added as the last finishing step. As the coconut milk and cream layers are richer, we prefer adding a slightly lesser amount compared with the coconut water. 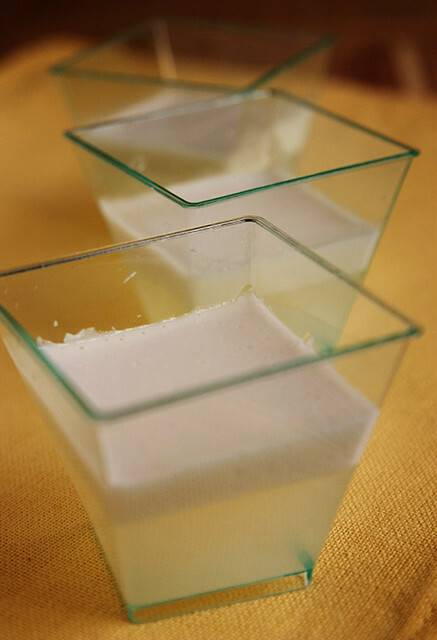 We can’t decide what we like more, the refreshingly pure coconut water jelly or the sweet and coconut milk and cream. Oh well, we’ll just have it all! 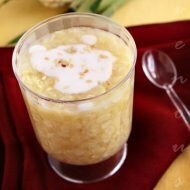 Since agar-agar is such a big part of Vietnamese desserts, this is also our contribution to Delicious Vietnam, a monthly blogging event celebrating Vietnamese cuisine created by Anh of A Food Lovers Journey and yours truly! This month’s host is Deb of Bear Head Soup blog. 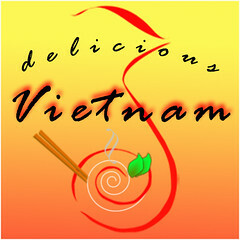 Submissions can be sent to her by Sunday Dec 7, 2010 at 7:00 pm pacific time via bearheadsoup[at]gmail[dot]com For instructions on how you can participate, visit Delicious Vietnam information page. hey i recognize those lil cups! hehe. it looks really nice. hope you guys win the trip to hong kong! It has been so long since I have had coconut gelatin, something I miss so much from my childhood! I like the contrast of different textures and layers of indulgences. This is definitely an intriguing, creative and fun holiday dessert. 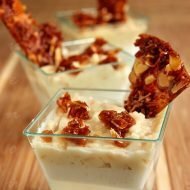 The toasted coconut looks great and adds some great texture to your creative dessert! This is so different from the usual holiday desserts. It looks so refreshing and original. I just found your blog through TheKtchn. I'm so glad I did! i like the contrast of texture and the different layers. so contrasting and different yet put together is a BLISS! love it! you guys are so creative! Wow, that looks very cool — and refreshing. Just FYI, your blog is loading a little funny, at least on my screen … the first thing I see is your header and then your categories and archives, with bullet points on the left and the text on the right. If you keep scrolling, it begins to look more normal. I noticed this a couple weeks ago. I have a PC. I really like this one. A bit kinder to the waistline than all of the other luscious desserts out there this time of year. 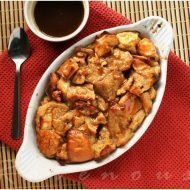 Smooth, cool, and crunchy are a great combination in a dessert! Thanks everyone, we've been so awfully busy and don't have the time to read and comment properly..hope y'all forgive us! That looks so delicious! You can't go wrong with too much coconut! Yum this looks delicious! Thanks for sharing! So unique and beautiful. Lots of steps and ingredients, but worth it. Wouldn’t the fresh coconut water sour when heated?